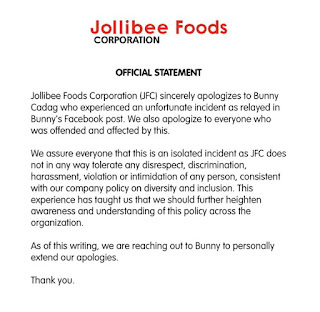 Bunny Cadag’s post about the Jollibee’s discrimination to hir is creating backlash in the Internet. First of all, Bunny Cadag wants to make things clear. Ze is not applying for a position in Jollibee. Ze was chosen by a third party agency to be a transcriber of Jollibee’s Evalutation to their employees. Cadag is a Gender Queer who have been working in a BPO company for 2 years. Transcribing is one of hir skills which ze acquired in BPO. Hence, ze was chosen to be in that role. It’s Cadag’s right to choose whatever ze wants to wear, on what ze will look like and how ze preferred to be called. As long as ze doesn’t step on a shoe of somebody, I’m pretty sure that there’s nothing wrong about that. In line with such, there has been an ordinance in Quezion City about discrimination to LGBTQ; Quezon City Ordinance 1309, which prohibited discrimination against homosexuals in the workplace. The incident didn’t take place in the said City, but there are now people who are fighting to stop these kind of discrimination. 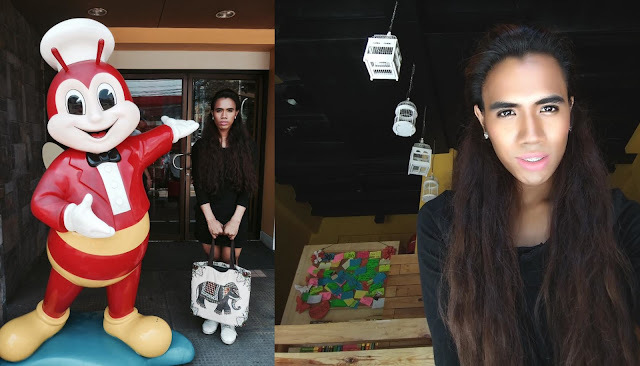 Jollibee refused Cadag to be in the said role because of hir gender expression and identity. In addition, Jollibee practices Catholic teachings, but if they are really practicing the teachings of being catholic, I wonder why they didn’t know the quote mentioned above. Furthermore, it’s not only LGBTQ who have ceiling in the business world, female experiencing the same thing. In the business world, only few women who gained to be in the executives. Also, there are closeted gays who are in the senior position - who are afraid to go out because of these stigma. ‘Diversity’ exist rarely in the companies around the world. Sharp tongue stabs LGBTQ and Women without hesitation. Bunny Cadag’s experience is the best example for this. 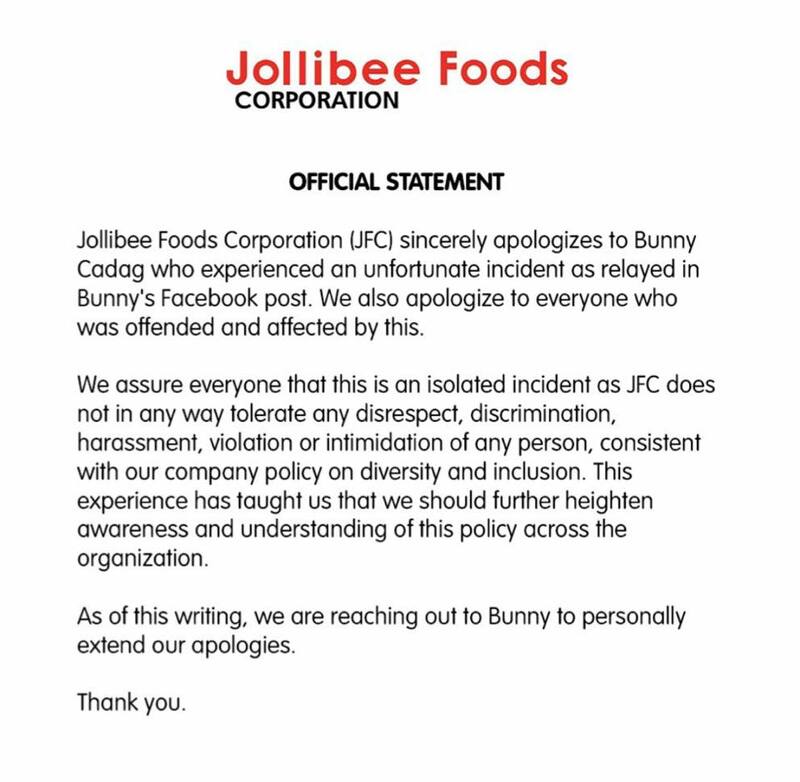 Jollibee already made a public apology to Ms. Bunny Cadag. However, the damage has been done. Here’s a free business advise; Diversity.